ePublishing Knowledge BaseePublishing Knowledge BaseePublishing Knowledge Base Creating, Managing, and Selling Products How do I create an event product? If you're selling seats to your event, or want free registration, set up a product for your event. 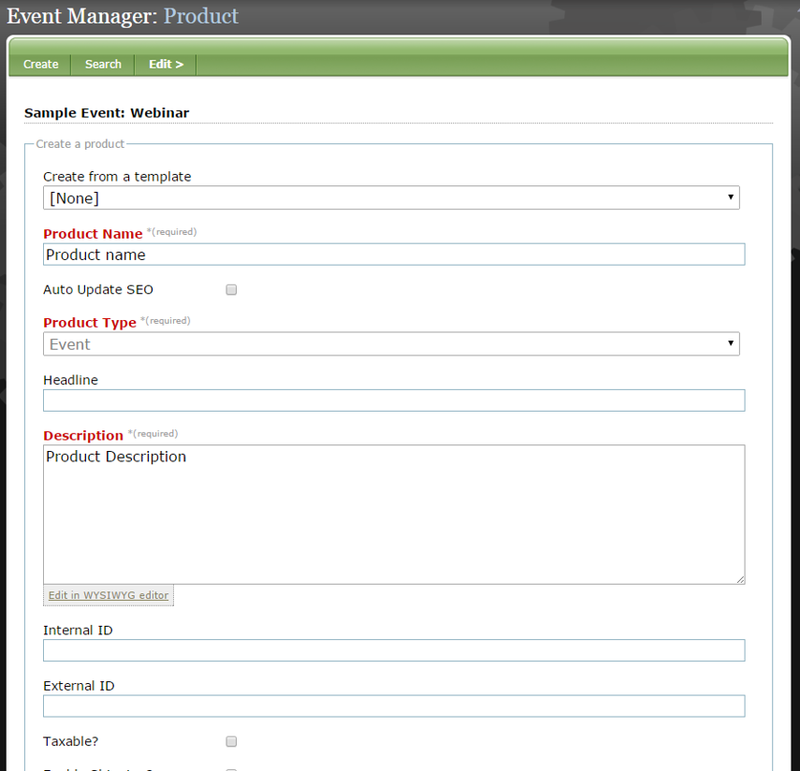 To create a product out of an event, start within your Event in the Event Manager. Under Edit within your Event in the Event Manager, select Product. Zoom: Under Edit within your Event in the Event Manager, select Product. Set up your product to sell individual tickets or group packages, or to take free registrations. If the latter, simply set the price to $0. Set pricing. 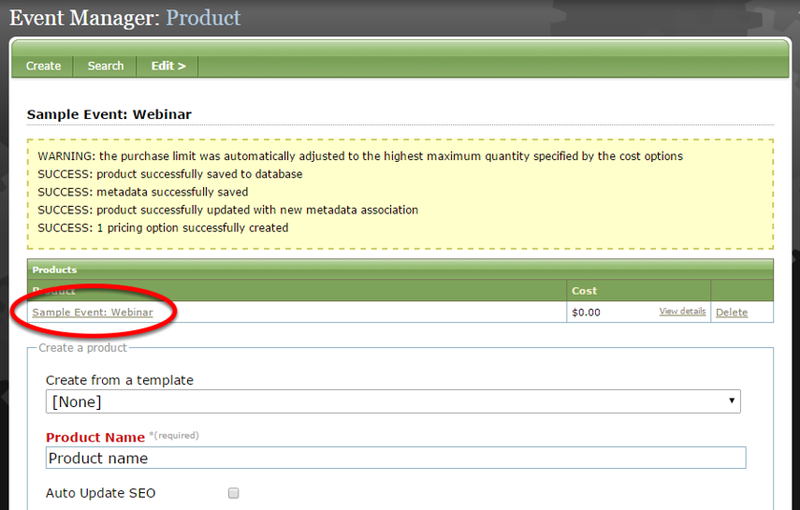 To add additional categories (for example, the price of a ticket for 10-19 people), click "Add More" on the right (6). Pricing will appear as follows on your Event's landing page. For each ticket sold, your customer will provide registrant details. To finish creating your product, click on the link that appears at the top of your screen under Products. Don't forget to publish your product after you are finished editing it. Return to your Event in the Event Manager to complete your event setup if necessary. 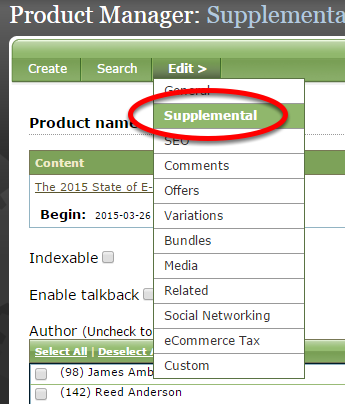 Under Edit, click Supplemental within your product in the Product Manager. Click on the link under Content to return to your Event in the Event Manager. 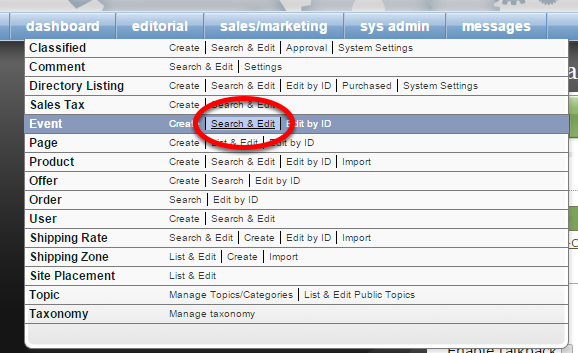 Or click on Search next to Event under Sales/Marketing in your main navigation. Prev: How do I use the price classifications when creating a product? Next: I want to have flat rates for international shipping, regardless of country. How do I do that?